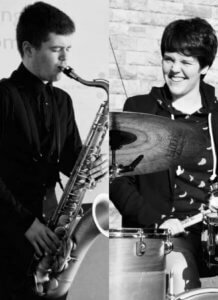 The duo met whilst studying at Leeds College of Music in 2016. After playing together In a big band and quartet they decided to form a duo. They play a mixture of unique takes on standards, original tunes, and free improvisation with progression and movement in mind. The music is very intimate and in the moment. They will also be joined by local bassist Paul Grainger for some tunes as a trio.